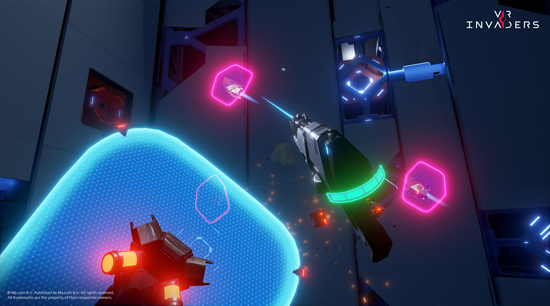 Virtual reality PC game, VR Invaders, which is scheduled for release via Steam VR December 15. This brand new game offers a visceral shooter experience on your favorite VR platform in exceptional graphical detail. 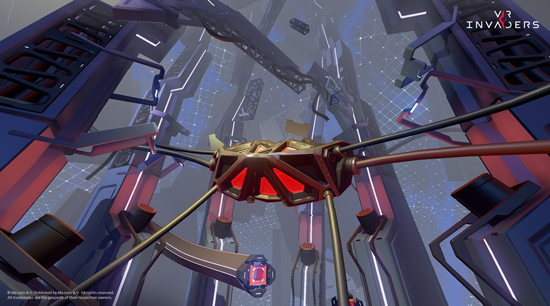 VR Invaders takes place in the near future and thanks to global corporations, virtual reality programs offer the perfect distraction from life’s hardships. 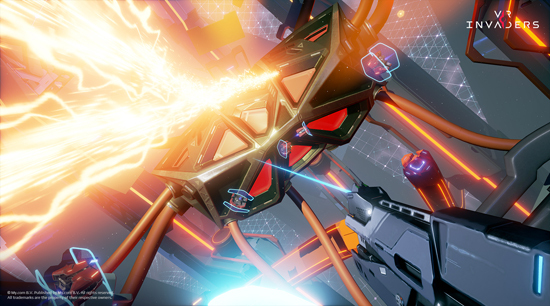 VR Invaders is developed by My.com’s in-house studio and delivers a story driven dive into Virtual Reality for HTC Vive, Oculus Rift & Touch owners. 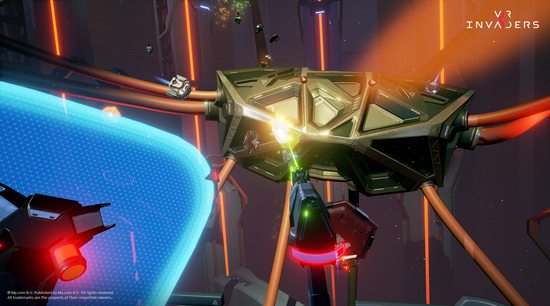 Build on Unreal engine 4, VR Invaders puts the player in the role of a Diver. They are special members of a virtual reality rescue force that plunges into VR when dreams turn into nightmares. During a routine operation to rescue a “stuck” user, the player will have to fight back unexpected hordes of droids created by a vicious virus program. 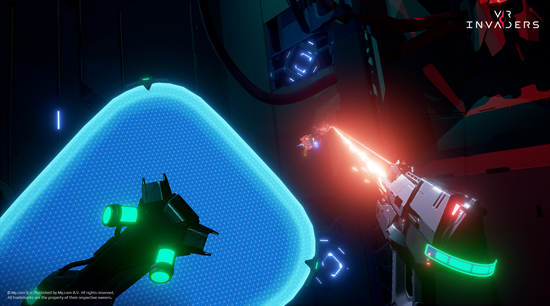 Equipped with a blaster that has multiple firing modes and a time-bending energy shield, players can rush through a variety of levels with challenging bosses at the end of each level. Players will be able to use power ups to slow time or even equip dual blasters, which will significantly help in critical situations that are created by the virus program. We must go deeper – Engaging story with interesting characters, which unfolds as you “Dive” into a virtual reality program of a future world to save a user that is stuck, and to battle the unforeseen causes of the glitch. 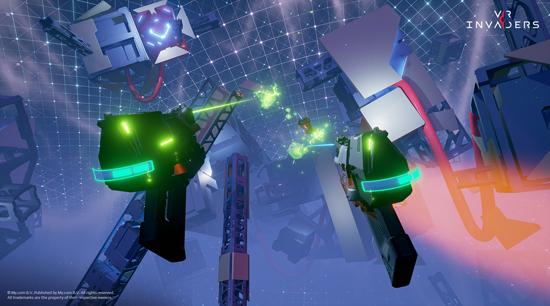 Fast-paced action – Shoot with a blaster and block bullets with a shield. Core mechanics are easy to grasp, but using them to the fullest against all the threats will be a challenge. Various levels – Virtual reality is vast. You’ll see radically different and gorgeous environments, from claustrophobic and dark, to enormously big and bright. 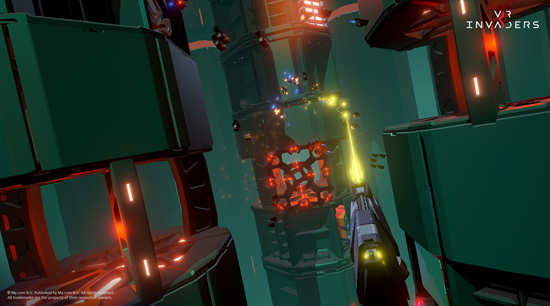 Level structure shapes the gameplay. Hordes of droids – Enemies are numerous in quantity and type. Each one behaves differently and demands a change in combat tactics. A memorable boss awaits at the end of every level. Slow motion shield power – Freeze time to a halt when you need breathing space. Use this to kill lots of enemies at once or to check that no one is attacking you from the side. 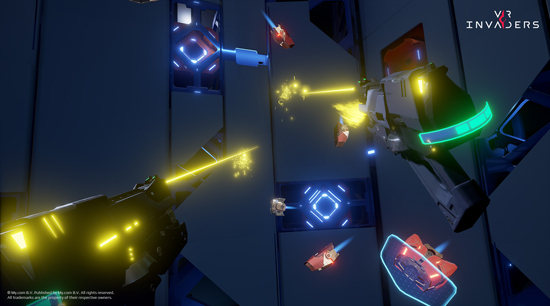 Multifunctional blaster – Gather power-ups from killed enemies to temporary transform your cyber weapon into various more powerful modes, such as a laser, a plasma gun or dual blasters. Different play modes – After completing a level in story mode, you can replay it in rating mode on three different difficulty levels to get a high score and become the best cyberspace diver.